As Europe erupts, can one young spy protect his queen? 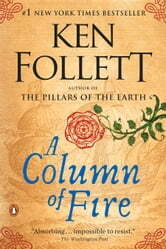 #1 New York Times bestselling author Ken Follett takes us deep into the treacherous world of powerful monarchs, intrigue, murder, and treason with his magnificent new epic, A Column of Fire. A thrilling read that makes the perfect gift for the holidays. Ken Follett never fails as an author. This story, like all of his others, was spellbinding. He truly does interweave a wonderful tale with known history. There are few authors that I truly enjoy, but Mr. Follett’s writing is consistently remarkable. Once you pick up one of his books, there is just no putting it down, and “A Column of Fire,” certainly fits into that genre. When do we get his next book? 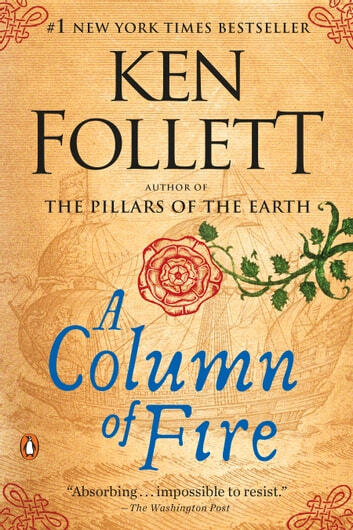 Ken Follett is one of the best author I've read. So interesting! One can't go wrong reading a Follett novel. My problem was I had to catch up to what happened in his other two Pillars of Earth novels. Other than that, it was a great read!